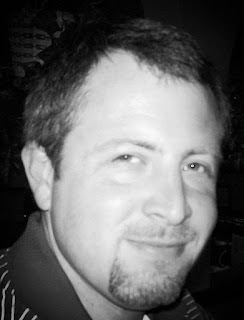 Jason Brannon is a veteran of the writing industry and I am proud that we are pressmates at The Crossover Alliance. He was kind enough to answer a few questions about his life, his writing, and his latest book, THE TEARS OF NERO. Tell us about yourself, a brief bio. I am a 39-year-old author from Amory, MS who wears a lot of hats like father, soon-to-be-husband, gamer, guitarist and music aficionado. As far as fiction goes, I have been writing and selling stories, novellas, novels, and the like for the last 18 years. I started out writing horror/dark fantasy, saw my work published in German on several occasions, optioned for film, and collected in various volumes throughout the years. Eventually, I grew tired of just writing for entertainment's sake and desired to write something with a little more substance that had a purpose. I began to write stories about flawed characters trapped in situations designed to test and try their faith, and The Maze, my first Christian thriller, was the result. I have been writing in that vein ever since. How did you begin your writing journey? Like most, I started with short fiction. After reading Ray Bradbury's The Martian Chronicles, I saw how powerful the short story could be and made that my format of choice, submitting to any and all magazines that had a slush pile and would look at the work of an untested writer. Eventually, I sold to a few webzines, then a few print magazines, then a few anthologies, and so on and so on. All told, I published around 100 stories in the horror/dark fantasy markets, and I haven't looked back. What kinds of stories do you like to write? What are some books and authors that have inspired you? Ray Bradbury is my favorite writer of all time, and I have read his work at length. Studying books like The Illustrated Man, The Golden Apples of the Sun, and The October Country taught me how to write. Most of the fiction that has inspired me comes from the horror/dark fantasy field, but leans more toward the "quiet horror" of The Twilight Zone. Nothing too extreme for me. I lean toward mood/suspense over anything that tries too hard to be frightening. Authors like Richard Matheson, Robert Bloch, and Charles Beaumont always appealed to me. Also the Sherlock Holmes stories of Sir Arthur Conan Doyle are among my favorites. You just released The Tears of Nero. Tell us about this book and what it meant to you as you were writing it. The Tears of Nero is the book I had been trying to figure out how to write for quite a while and didn't really know how. I wanted to tell a story that had the action of an Indiana Jones movie, the mystery of an episode of Lost, the intrigue of Agatha Christie's Ten Little Indians, and the moral center found in the best Peretti novel. 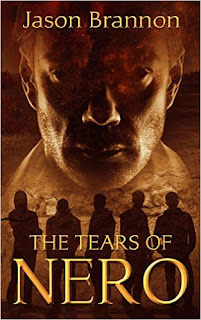 When writing The Maze I felt like I was trying to find my voice in Christian fiction after having written secular fiction for years, and while I think that book is one of my best, The Tears of Nero feels like the sweet spot where I have hit my stride. What new projects are you working on right now? I am currently working on the second book in The Halo Group series entitled Beware the Death Angel (which is incidentally based on a short story of the same name) and a coming-of-age novel tentatively titled Miracle Man. As if I didn't have enough going on with those two, I have also written these words as of late - The Fury of Nero - and started developing an idea I have for a sequel to Tears. Where can readers find you online? Subscribe to my monthly newsletter! Copyright 2012-2015 Mark Carver. All rights reserved. Picture Window theme. Powered by Blogger.